Born in 1939, Dr. Phil. (with subjects geography, English, philosophy, education), climber and allround-mountaineer with a special focus on European mountains (many repetitions of great classic climbs e.g. Mont Blanc Brenva Sentinelle Rouge, Grandes Jorasses Walker spur Cassin, e.g. in the Dolomites Cima Una Weg der Jugend, Cima Grande di Lavaredo Hasse-Brandler, Punta Civetta Via Andrich-Faé, Brenta Alta Detassis etc, e.g. in Norway Trollryggen East Pillar etc, and 134 first ascents of alpine multipitch routes of classical style in the Alps e.g. Croda Antonio Berti SW-Wall VI/A 600 m, Langkofel Riesenpfeiler V+ 1000 m, Croda dell’Arbel East Face VI- 1000 m, Norway e.g. Blafjell East Pillar VI- 800 m, and on Mediterranean rock e.g. of Sardegna and Crete, besides more than 1000 new climbs on lower outcrops in Germany. He is author of guidebooks on rock-climbing, walks and cycling tours in Northern Germany, of climbing guidebooks on the alps (e.g. the Alpenverein-guidebooks Dolomites AVF Sella-Langkofel, Sexten Dolomites, Pelmo, Schiara, selection Bavarian an Tirolean climbs, 4000ers – ordinary routes, 3000ers, selection Mediterranean climbs) and of narrative alpine literature (“Luft unter den Sohlen”, “Augenblicke oben”, “Nepalnotizen”, “Top 20 der Alpen” and recently “4000er – Gipfel, Grat, große Wände”). 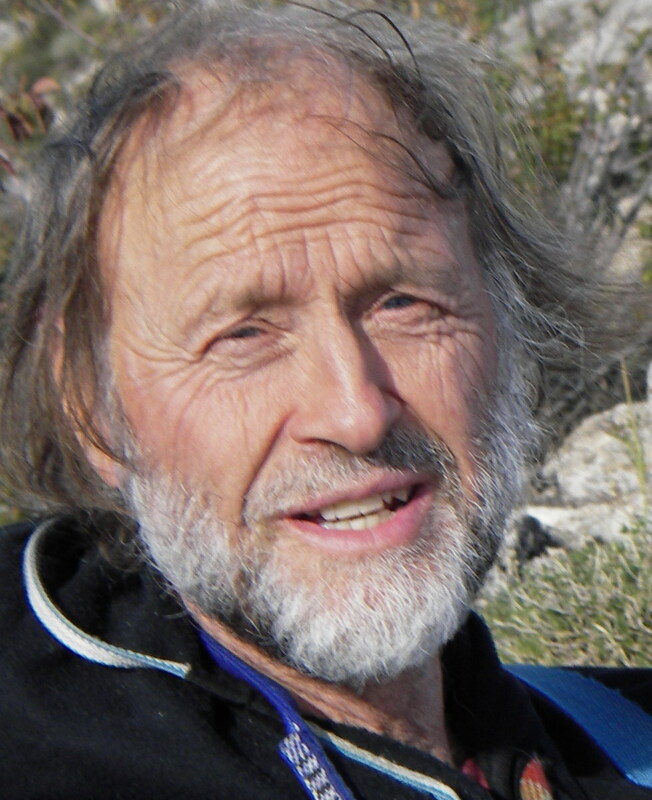 Many essays and contributions on alpine and ecological topics in magazines, see homepage: richard-goedeke.de. 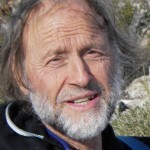 Richard Goedeke is member of the Alpenverein sections Braunschweig and Bayerland, was speaker of the regional youth sections of the Alpenverein 1970-75 and member in the board of the German Alpenverein 1981-1991, working on the development of compromise conceptions for sustainable climbing also in ecologically sensitive areas. Since 2005 he is also speaker of the team Culture of the Alpenverein. He took part in the foundation of Mountain Wilderness in Biella in 1987 and has been guarantor and active supporter since then. He was invited to membership in the GHM and the CAAI. In 1995 he was awarded the Ernst-Enzensberger-Prize, in 2009 the “Pelmo d’Oro” of the province Belluno for his alpine career and the “Bundesverdienstkreuz “ for his activities in education, preserving ecology and mountain sports and establishing cooperation between them.